Sterling silver chunky style hinged hoop for helix (upper ear) piercings. The decorative part of the hoop is 3mm thick and 2mm deep. 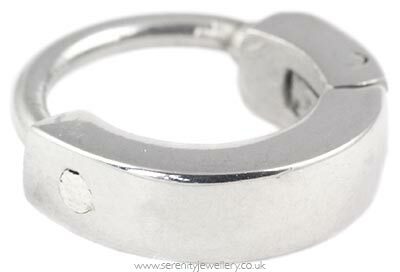 The part of the ring which goes through the piercing is 316L surgical steel. Very comfortable & looks great on.